Theileria orientalis is a protozoan (a microscopic parasite) spread by the bush tick causing Bovine anaemia (known as BATOG – Bovine anaemia due to Theileria orientalis group) in cattle. Theileria is mainly found in coastal areas of Australia, including areas around northern coastal Queensland, coastal New South Wales, coastal to mid-Victoria and great southern and southern coastal areas of Western Australia. Infected bush ticks usually prefer high rainfall or cool, moist environments with protection away from the sun. When preparing to purchase new or replacement stock it is important to take precautions to prevent your animals being infected with Theileria. How can I protect my farm? When buying in cattle, it is important to identify if the farm of origin is in a Theileria area and, if so, know how to protect your animals from infection. Prior to arrival or purchase of the introduced animals, you should ask your supplier for a completed National Vendor Declaration and Cattle Health Declaration and ask to see any treatment records if further information is required. The parasite can be introduced through animal movements and spread through contact with other cattle, and there is currently no vaccine available for T. orientalis in Australia. The good news is for the disease to become established on a farm, the parasite, the bush tick and at-risk animals must all be present. This helps to minimise the infection rate in the herd. If new stock entering your farm has originated from a Theileria-prevalent area and your herd is a naïve herd (i.e. has never been exposed to Theileria before), it is important to check the new animals for ticks prior to arrival or simply treat them for ticks and quarantine the animals away from your existing herd. Isolate high-risk animals including older or late pregnant and recently calved cows, young calves (up to 3 months) or animals that are placed in higher stress environments. When checking the introduced animals’ health status, look for the following symptoms of Theileria including: lethargy; loss of appetite; decreased mobility; visible difficulty in breathing; yellowish or pale gums or jaundice; fever; lack of appetite; red urine; late-stage abortion/stillbirths; and an increase in sudden deaths of mature animals (particularly late pregnancy or early lactation). If any of your animals indicate symptoms call a vet to check for clinical signs by taking blood samples to look for anaemia and Theileria parasites. During the quarantine period be conscious about exposing existing cattle by isolating them in an area which is less favourable for ticks (e.g. dryer paddocks). Check and treat both new and existing cattle for ticks, especially under the tail area, between the hind legs and in udder skin folds. Finally, don’t introduce infected cattle during high-risk periods and try to purchase cattle from districts where Theileria is uncommon, or from farms that know their BATOG status. Maintain awareness of potential outbreaks, particularly if outbreaks have occurred on nearby properties. What precautions can I undertake if I suspect an infection? Investigate losses that occur on your property so that you know what diseases are occurring through observation of at-risk cattle. If the bush tick is present or likely to become established on your farm, separate infected cattle from uninfected cattle and call the vet for testing. If you suspect a case, call your local private or departmental vet and seek to reduce stress within the herd. Stress may be dealt with by: improved nutrition; reduction of walking time to the shed for affected animals; minimal handling; and ensuring cattle are provided with fresh food and water. While there is no specific treatment for BATOG, early detection, reducing stress and treatment of cattle by a vet is usually most effective. If you already have T. orientalis or bush ticks on the farm, or you are in a tick area, make sure you don’t introduce new, at-risk, naïve animals to your herd. For example, don’t buy late-stage pregnant cows that have never been exposed. Buy in healthy, fit, non-pregnant animals so they have time to develop immunity before high-risk periods. 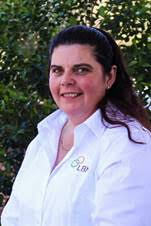 Frances Gartrell is the LBN’s manager of Biosecurity & Extension in Western Australia. Looks like WA needs to have a J-BAS 1 to 8 score equivalent for Theileria ! I am sure CCA can help ! ?